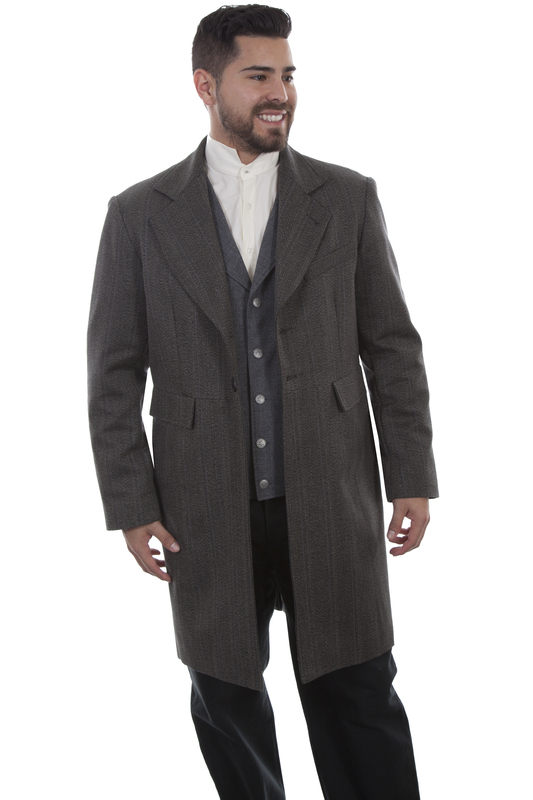 This tonal stripe frock coat is also made from the original frock pattern. It features a two button closure, notched lapels and two front flap pockets. The coat has an inside chest pocket. The back features a center vent with two buttons. 90% cotton and 10% wool.